Beef burger with cucumber raita, sriracha and pitta bread. 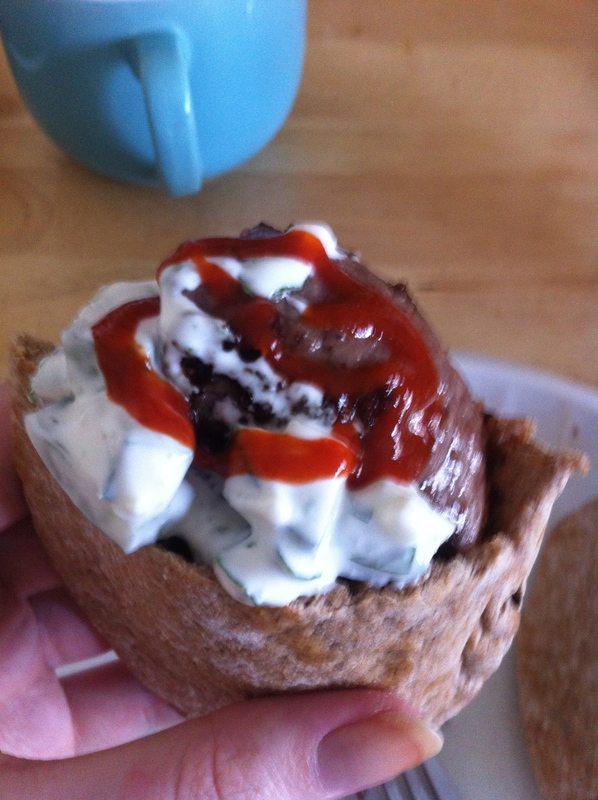 Tags: beef, burger, raita, sriracha. Bookmark the permalink.